All files on Brochurecheap are sold with a royalty-free license. Brochurecheap's royalty-free license allows you to use templates in your projects without limitations on time, the number of copies printed, or geographical location of use. Neither this, nor the subscription license permits the display of our templates on a website or an intranet, whether or not for sale or download. This is a legal agreement (this "Agreement") shall be binding upon Brochurecheap and any member (the "Non-Exclusive Downloading Member") who downloads a templates from the Brochurecheap.com website. The Non-Exclusive Downloading Member acknowledges and agrees that he or she shall be bound by the terms and conditions of this Agreement and that this Agreement applies to each Work that the Non-Exclusive Downloading Member downloads. Brochurecheap grants to you a non-exclusive, non-sublicensable, non-transferable, worldwide and perpetual right to edit the Design, by exchanging or changing design elements, changing or inserting new text or otherwise personalizing the Design for a particular project, to create derivative works, such as advertising and promotional materials, print publications, HTML email documents and websites, ("Derivative Works") in any and all media for all purposes other than those uses prohibited under Section 2 of this Agreement. You may have the Design or your Derivative Works edited and reproduced by your subcontractors (service providers, such as graphic designers and printers), or those of your employer, provided that such subcontractors agree to abide by the provisions of this Agreement. You may also provide your Derivative Works to your client as electronic files as long as the client does not create new derivative works from those files. You may display your Derivative Works on your website, in emails and printed products provided, however, that the Derivative Works are completed projects and not simply substantially unedited reproductions of the Design. The only right granted to you is the right to use the Design in accordance with this Agreement. All rights not expressly granted to you in this Agreement are specifically reserved to Brochurecheap. Except as described in the grant of license in Section 1 above, you may not post any Design, depiction or portion thereof online or on a private network or place any Design or Derivative Work online in a downloadable format or as an editable web-to-print template, whether or not you represent the Design as the work of Brochurecheap or others, or offer any Design or Derivative Work for sale or other such distribution without obtaining a special license or written permission to do so from Brochurecheap. You may not falsely represent, expressly or impliedly, that you are the original creator of the Design. The images contained in the Design may only be used by you in connection with the Designs and for no other purpose. Use of a Design in a manner not specifically authorized by this Agreement constitutes an infringement of our proprietary rights and those of our third party licensors and will subject you to infringement damages. Use of a Design in a manner that is contrary to a restriction stated in this Agreement is prohibited. Design(s) are licensed with no rights protection on a non-exclusive basis. Brochurecheap gives no rights or warranties with regard to the use of names, trademarks, registered or copyrighted designs, elements or works of art depicted or contained in any image in any Design, and you must satisfy yourself that all of the necessary rights or consents, as may be required for your use of the Design(s), are obtained. Pornographic, defamatory or otherwise unlawful use of Design is strictly prohibited, whether directly or in context or juxtaposition with specific subject matter. You are also required to comply with any applicable regulations and/or industry codes. Brochurecheap owns and will retain all copyrights in and to any Design, including any image contained in any Design. You may not copy, modify, sell or distribute all or any part of any Design except as expressly authorized in this Agreement. The Designs are protected by copyright law and international treaty. Unauthorized reproduction, modification, sale or distribution is subject to civil and criminal penalties. No use of a Design can occur until full payment has been made. Any use of a Design by you prior to payment constitutes an infringement of Brochurecheap' proprietary rights and a breach of this Agreement which entitles Brochurecheap to rescind this Agreement and seek damages from you, as applicable. After payment made no refund available. 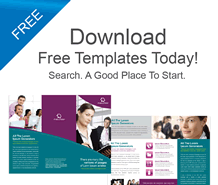 Download free templates before purchasing. The license granted to you with respect to a particular Design may not be assigned. It is personal to you. 6. Unauthorized Use of Designs. You agree to indemnify and hold Brochurecheap, affiliates and representatives harmless against any claim for damages, losses or any costs, including attorneys' fees, arising in any manner whatsoever from the unauthorized use of any Design or portion thereof supplied to you by Brochurecheap, or for your breach of any of the terms of this Agreement. The provisions of Sections 3 and 4 of this Agreement, and such other provisions which by their nature continue after termination, shall survive termination of this Agreement. No variation of any of the terms in this Agreement shall be effective unless agreed in writing by Brochurecheap and you. No action of Brochurecheap, other than an express written waiver, may be construed as a waiver of any clause of this Agreement. If Brochurecheap waives any specific part of this Agreement, such waiver does not mean that any other part is waived. Should any clause of this Agreement be found unenforceable, that will not affect any other clause and each will remain in full force and effect. In the event of any inconsistency between the terms of this Agreement and the terms contained on any purchase order or other document sent by you, the terms of this Agreement shall govern. This Agreement, its validity and effect shall be interpreted under and governed by the laws of Singapore. Venue for all disputes arising under this Agreement shall lie exclusively in the federal courts in Singapore, and each party agrees not to contest the personal jurisdiction of these courts. Notwithstanding the foregoing, Brochurecheap shall have the right to commence and prosecute any legal or equitable action or proceeding before any court of competent jurisdiction to obtain injunctive or other relief if, in the opinion of Brochurecheap, such action is necessary or desirable. If Brochurecheap is required to enforce Brochurecheap' rights as a result of any breach of this Agreement, whether a lawsuit is filed or not, it shall be made whole by you for such reasonable legal fees and costs incurred by it. If on this or any other form received by you in connection with your order, any terms or conditions contained herein or therein are inconsistent with the provisions of this Agreement as it appears on our website, such inconsistent terms and conditions shall be of no force and effect, it being the parties' intentions that this Agreement as it appears on our website shall govern all matters relating to our designs. The subscription license works much like the royalty-free license. Both licenses allow the content to be used without limitations on time, the number of copies printed, or geographical location of use. You are not required to pay any additional royalties on a use-by-use basis. The subscription gives you access to our entire library of templates &dash; pay just once and you're free to download new templates until you reach your template per month download limit or until your subscription expires. You may also re-download any of your previously downloaded templates until your subscription expires. The subscription allows for perpetual use of any templates you download. Download limit: You may download up to 30 unique templates per month. This limitation does not apply to multiple downloads of the same template. 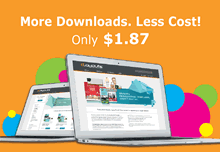 Downloads same template in different formats we count as one download. The images contained in the Design may only be used by you in connection with the Designs and for no other purpose. Use of a Design in a manner not specifically authorized by this Agreement constitutes an infringement of our proprietary rights and will subject you to infringement damages. Use of a Design in a manner that is contrary to a restriction stated in this Agreement is prohibited. Brochurecheap reserves the right to monitor the quantity of Design you download, and to immediately terminate your access or rights to the Design in the event of abusive or suspected fraudulent use of the Design. Use of the Design in a manner not specifically authorized by this Agreement constitutes an infringement of our proprietary rights and will subject you to infringement damages. Use of the Design in a manner that is contrary to a restriction stated in this Agreement is prohibited. Brochurecheap will automatically terminate the license contained in this Agreement without notice if you fail to comply with any provision of this Agreement. Upon termination, you must immediately (i) stop using the Design; (ii) delete or otherwise destroy any files containing the Design from your computer systems and storage (both electronic and physical). Brochurecheap reserves the right to revoke the license to use the Design for good cause and replace such Design with alternative Design. Upon notice of any revocation of a license of the Design, or its components, you shall be required to immediately cease using such Design and shall where possible ensure that its clients and customers do likewise. You should examine the Design and derivative works for possible defects before submitting derivative works for reproduction. Without prejudice to other provisions in this Agreement, Brochurecheap shall not be liable for any loss or damage suffered by you or any third party, whether directly or indirectly, arising from any alleged or actual defect of the Design or in any way from the reproduction of derivative works there from. Brochurecheap owns and will retain all copyrights in and to the design, including any image contained in the Design. You may not copy, modify, sell or distribute all or any part of the design except as expressly authorized in this Agreement. The Design is protected by copyright law and international treaty. The provisions of Section 1 of this Agreement, and such other provisions which by their nature continue after termination, shall survive termination of this Agreement. All of our Subscription plans can be purchased for 1 month, 3 months or 6 months. Of course, the longer you subscribe the more money you save! No variation of any of the terms in this Agreement shall be effective unless agreed in writing by Brochurecheap and you. No action of Brochurecheap, other than an express written waiver, may be construed as a waiver of any clause of this Agreement. If Brochurecheap waives any specific part of this Agreement, such waiver does not mean that any other part is waived. Should any clause of this Agreement be found unenforceable, that will not affect any other clause and each will remain in full force and effect. In the event of any inconsistency between the terms of this Agreement and the terms contained on any purchase order or other document sent by you, the terms of this Agreement shall govern. This Agreement, its validity and effect shall be interpreted under and governed by the laws of Singapore. Venue for all disputes arising under this Agreement shall lie exclusively in the federal courts in Singapore, and each party agrees not to contest the personal jurisdiction of these courts. Notwithstanding the foregoing, Brochurecheap shall have the right to commence and prosecute any legal or equitable action or proceeding before any court of competent jurisdiction to obtain injunctive or other relief if, in the opinion of Brochurecheap, such action is necessary or desirable. If Brochurecheap is required to enforce Brochurecheap' rights as a result of any breach of this Agreement, whether a lawsuit is filed or not, it shall be made whole by you for such reasonable legal fees and costs incurred by it. If on this or any other form received by you in connection with your order, any terms or conditions contained herein or therein are inconsistent with the provisions of this Agreement, such inconsistent terms and conditions shall be of no force and effect, it being the parties’ intentions that this Agreement shall govern all matters relating to our Subscriptions and the Design.